Happy Friday Y’all!!! I hope everyone had a great week. I had a busy week at work and also lots of plans throughout the week. On Monday, Ryan and I went to Dive N Boar to watch the National Championship game and then last night I attended Dorothy Shain’s Art Show at Art & Light Gallery then headed to Giorgios to celebrate my mom’s 60th Birthday Dinner. This weekend I am going to Atlanta for the Home & Gift Mart with my sister and our husbands. We have another busy few days ahead that I am super excited about! This past weekend I wore this cozy cherry red coat to stay warm since it has been pretty chilly this week. I paired it with these railroad striped jeans and this comfy turtleneck tunic in periwinkle blue. 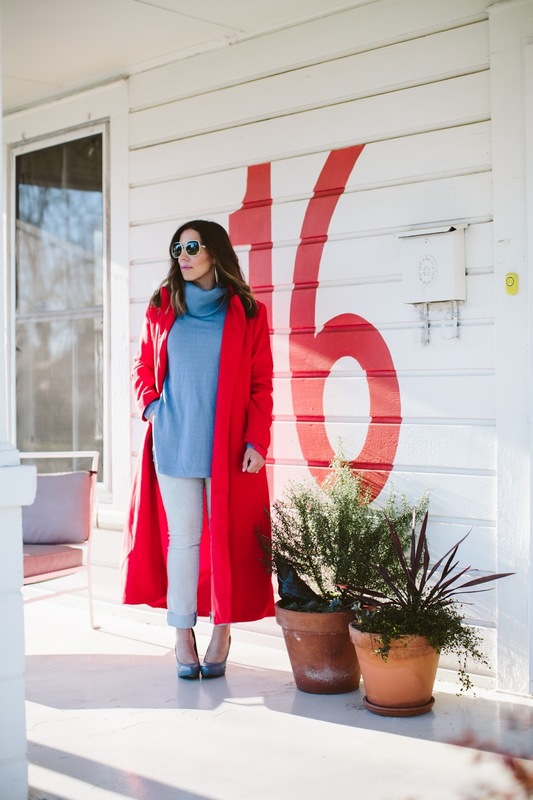 I don’t own a ton of red pieces in my closet so I have had a fun time pairing this coat with everything from this causal tee and denim to my little black dress for a fun dinner with friends. The fabric and weight of the jacket are perfect for winter and fall! I hope you all have a great weekend!!! Love the bright, red color. Great winter time look. I love this! 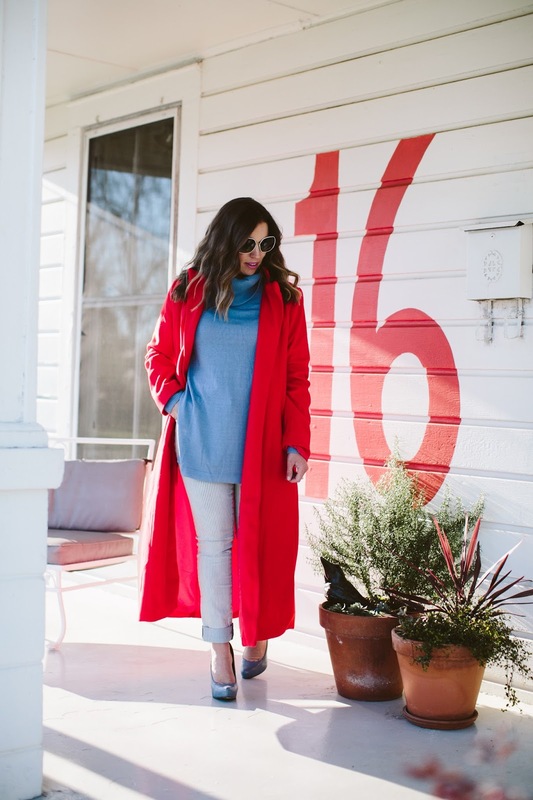 The red coat is perfect with the light blue!